"Petticoat Camp" is a light comedy, included in our program to illustrate the work and contributions of our star Florence La Badie. Let's all give our thanks to Ned Thanhouser for the outstanding work he has done for the past 25+ years in archives around the globe to acquire and publish on DVD and online Thanhouser films starring Florence La Badie. 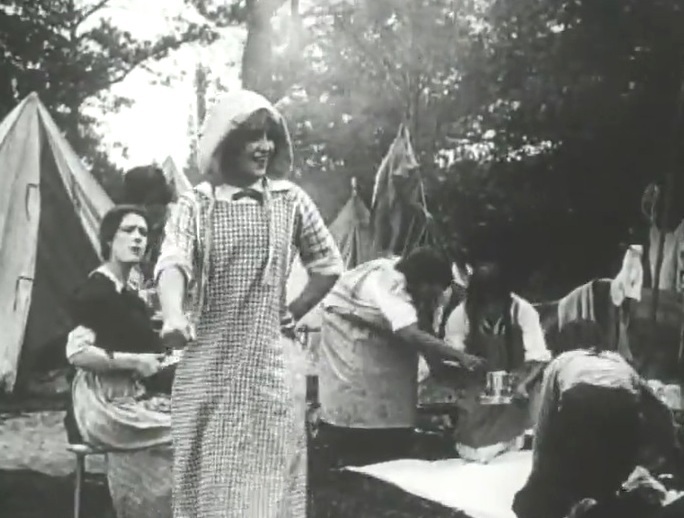 Florence La Badie arrives at the camp site with her company in "Petticoat Camp" (1912). 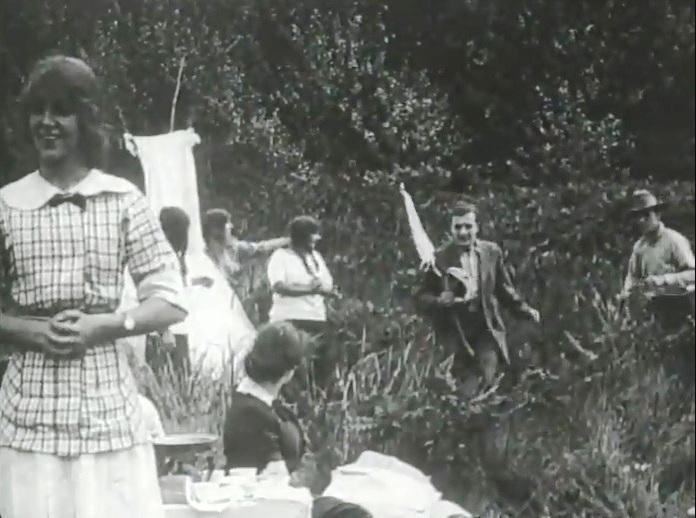 The husbands have the fun, the wives do the work in "Petticoat Camp" (1912). 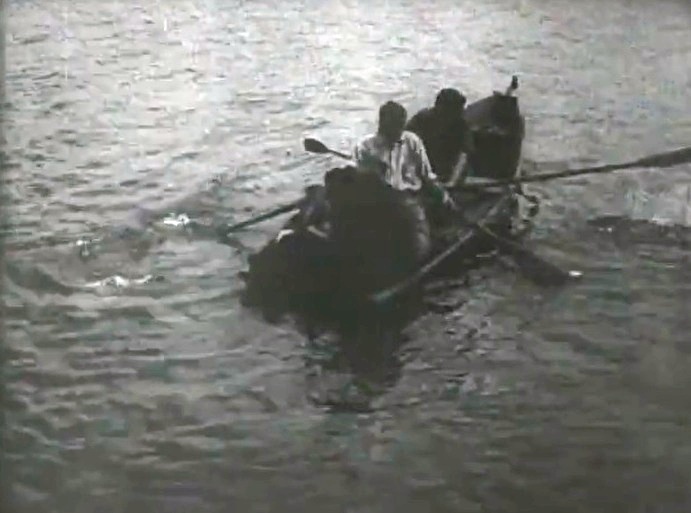 Florence La Badie looks on as the boys go fishing in "Petticoat Camp" (1912). 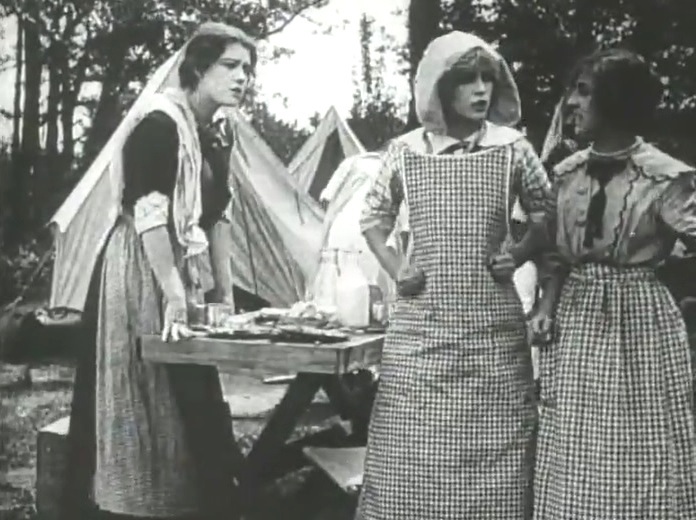 Florence La Badie and the other girls are not happy in "Petticoat Camp" (1912). Florence La Badie is glad to see the boys coming back in "Petticoat Camp" (1912). 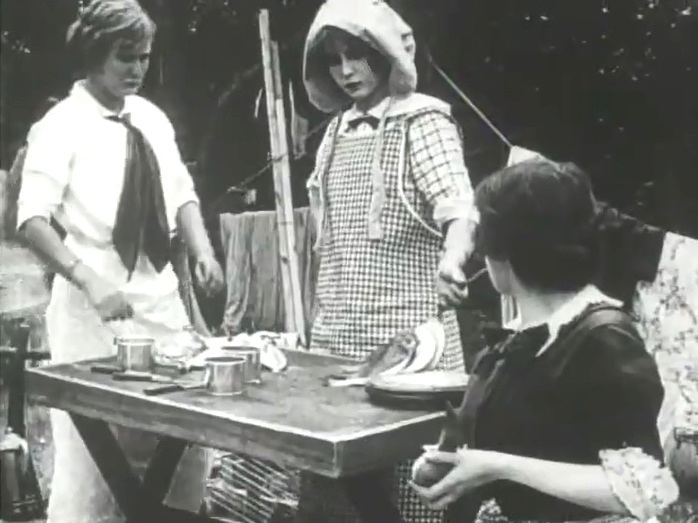 Florence La Badie is not impressed by the prospect of cleaning the fish in "Petticoat Camp" (1912). Florence La Badie pens a note to the boys "Your ex-slaves are leaving" in "Petticoat Camp" (1912). 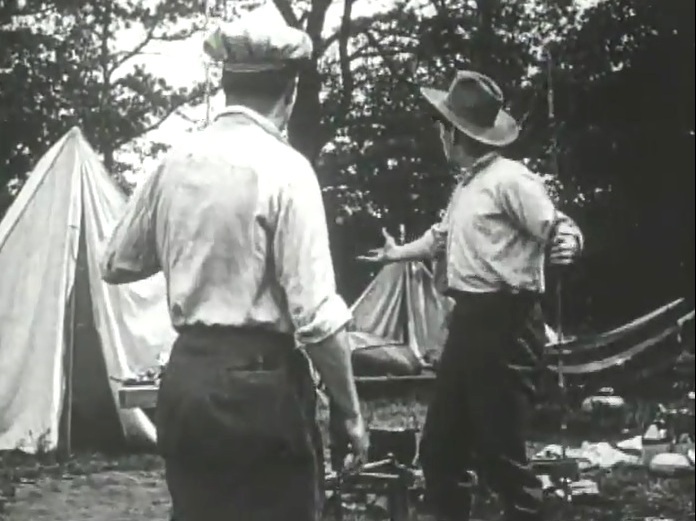 The boys return to an empty camp in "Petticoat Camp" (1912). 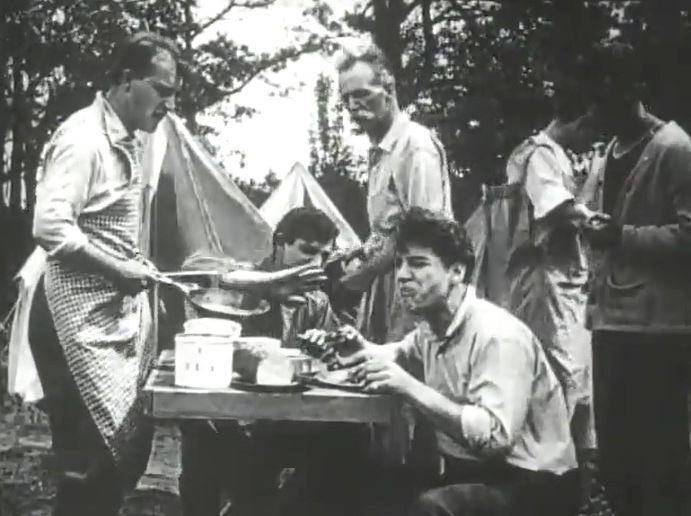 Male cooking leaves something to be desired in "Petticoat Camp" (1912). 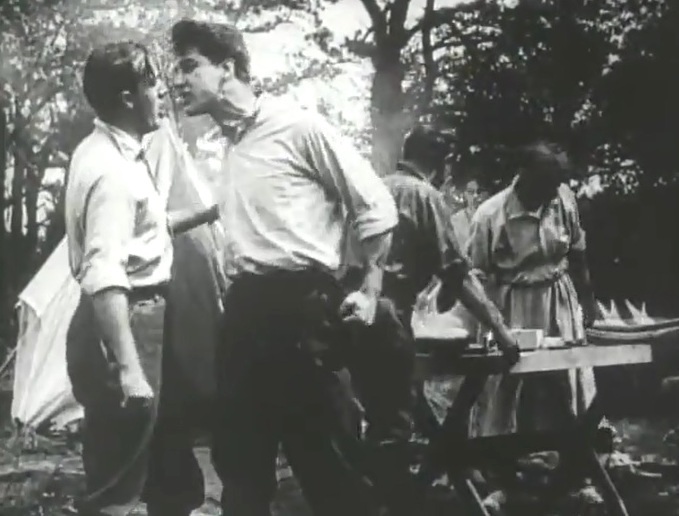 Tempers flare at the all-male camp in "Petticoat Camp" (1912). 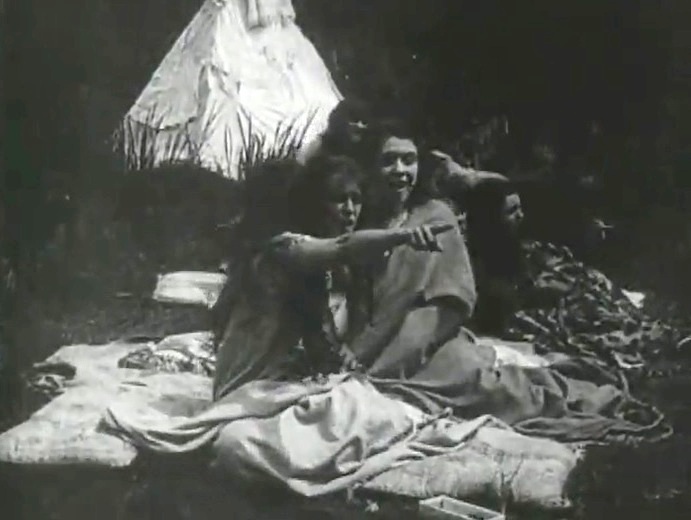 Florence La Badie sees the intended male invasion of the girl's island in "Petticoat Camp" (1912). 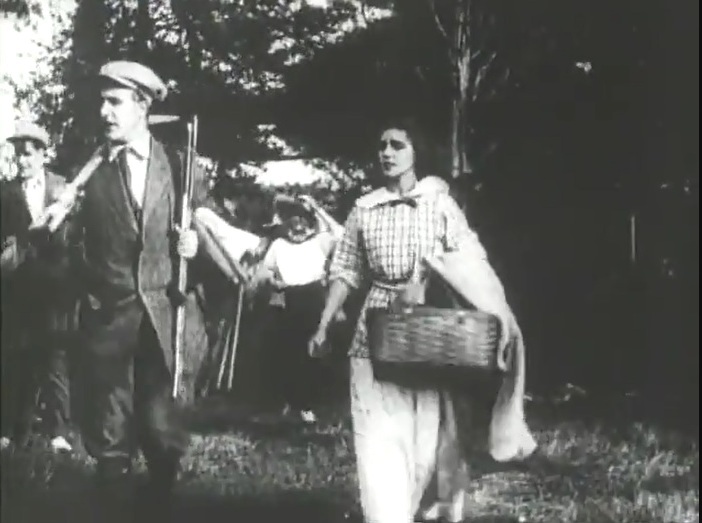 The invaders are met with firepower in "Petticoat Camp" (1912). 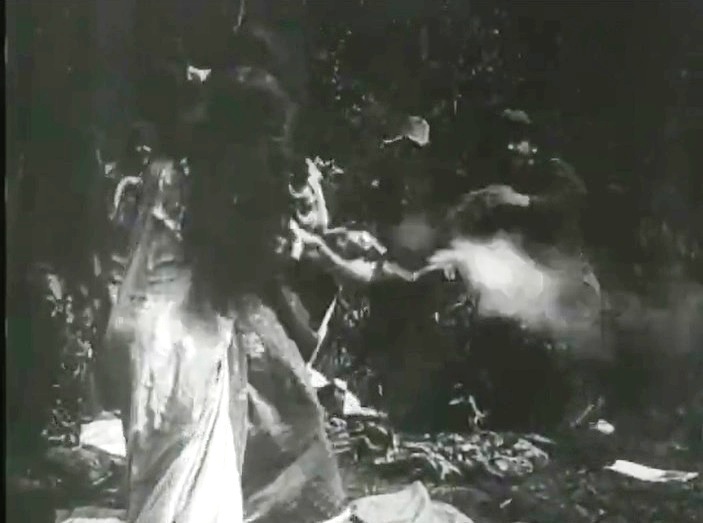 The invaders retreat in total disarray in "Petticoat Camp" (1912). 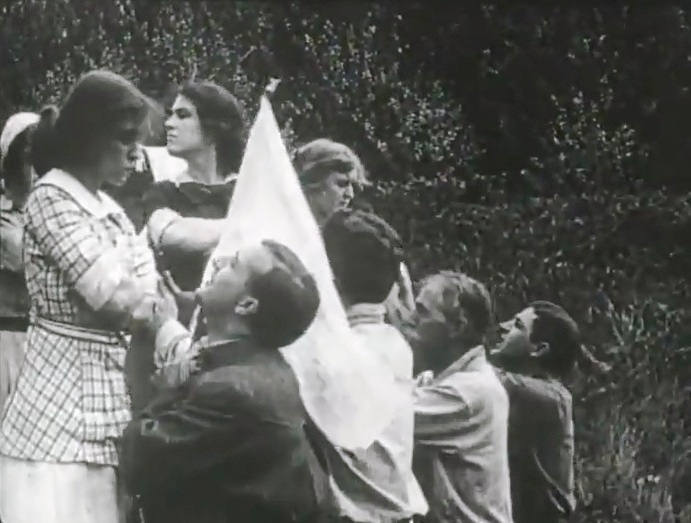 Florence La Badie and the other girls see the boys offer unconditional surrender in "Petticoat Camp" (1912). 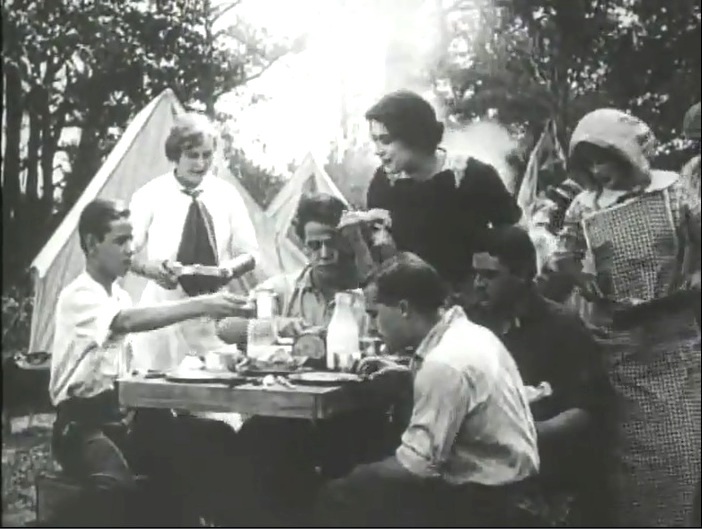 Florence La Badie and the other girls see the boys beg forgiveness in "Petticoat Camp" (1912).